In lieu of flowers memorial donations may be made to Sandridge Cemetery and left at the funeral home. Arthur Junior Julian, age 83, of El Dorado Springs, MO, passed away at his home on Wednesday morning, January 13, 2016. Junior was born to Arthur H. and Lucille (Sumner) Julian on March 11, 1932. Junior grew up south of El Dorado Springs, attending the Green Ridge School near Olympia, MO. 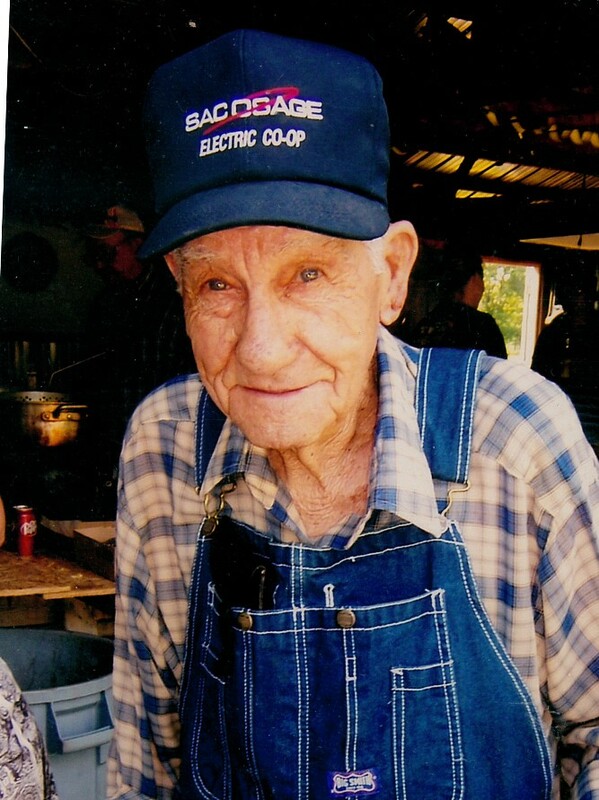 His grandmother, Eliza Julian, helped raise him and his two brothers, Harold and Tommy, on Stinkin’ Creek where they played hard, learned to hunt and fish and what hard work was by working in the fields and watermelon patches with their dad. On February 11, 1952, he was united in marriage to Carol Preston in Independence, MO. To this union four children were born. They would have celebrated 64 years of marriage next month. Junior served his country during the Korean War, serving from September 9, 1952, until September 8, 1954. He received several medals for his two years of service. Upon returning from the war, Junior and Carol made their home in Independence, MO, until 1970 when they sold their home and moved to a farm south of El Dorado Springs, where they started a farming/dairy operation together. Junior loved the outdoors. The family had a cabin on the Lake of the Ozarks, and in the summers he and Carol would pack up the family and drive to the lake for a weekend of fishing, boating, and water skiing. Junior also loved hunting, especially deer season in the fall with his sons and grandsons. He loved seeing all the grandchildren and great-grandchildren when they visited. Junior’s favorite thing to do in the evenings was play Rummy with Carol and Harold. The three of them played many, many games the past couple of years. His granddaughter, Jana, said this about her grandpa, “I am so grateful for the time we had with him; he was a good man, a veteran, a husband, a father, a grandfather, an uncle, a brother, a farmer, a hunter, a fisherman, a card player, and a friend.” He will be greatly missed by all. Preceding him in death were his parents, an infant son at birth, his son Mike Julian and brother Harold Hunt. Survivors include his wife, Carol of the home; his son, Jerry Julian and wife, Stacy; his daughter, Lucille Cooney; his grandchildren: Errin, Jana, Riley, Jaime, Jared, Dustin, Shane, Janea, Clint, and Desiree; and many great-grand children. He is also survived by his brothers and sisters: Harold Julian, Tommy Julian and wife Louise, John Julian and wife Bert, Junior Hunt, Carolyn Storbeck and husband Dennis, and Patti Alexander; and many nieces and nephews, cousins and friends. Funeral services for Junior Julian will be held on Saturday, January 16, 2016, at 2:00 p.m. at Bland-Hackleman Funeral Home with Rev. Brent Bland officiating. Burial will follow in Sandridge Cemetery under the direction of Bland-Hackleman Funeral Home. Visitation will be Friday, January 15, 2016, from 6:00 to 7:00 p.m. at the funeral home. Pallbearers are: Brad Leonard, Darin Leonard, Chris Julian, Mitch Julian, Brian Chism and Alan Hooper. Honorary pallbearers are grandsons: Riley Julian, Jared Julian, Dustin Cooney and Shane Cooney.